I’ve long wondered about the strategies elite swimmers use for the 200s. It is perhaps the toughest distance to swim, as it involves a good mix of sprint speed and endurance. I’ve wondered as to how hard they take it out, or how hard the middle 100 should be? Are there appreciable differences between how elite men swim it compared to elite women? Or differences between the different strokes? And how can I use this information to help my own swimmers? Finally, my curiousity got the better of me, and I started doing the analysis myself. I have to warn you though, I thought I could fit the analysis of all 200s for both men and women in one blog post. But the analysis took me down some interesting paths, and the bottom line is that it will take one post for each stroke. I knew from the start that merely looking at splits, without any additional context, wouldn’t help me. Ridiculously fast swimmers will swim ridiculously fast. And so I needed to know the 50 m and 100 m Personal Bests for each swimmer at the time they swam the 200, and then compare their splits to these PBs. This should give me information which is relatable to slower swimmers. However, for both men and women, there were a few swimmers for whom there were either NO personal bests available for that time (using as many international databases as I could find), or for whom the 50 PB was unrealistically slow (as in slower than half of their 100 PB). Either these swimmers rarely swam shorter races, or for some reason their times were not recorded. As a result, the data sets for the 50 m analyses and the 100 m analyses are very slightly different. Next, I realized that I wanted to look at a lot of top-level swimmers so as to get a good basis for statistics. For instance, just looking at Olympic Champions Allison Schmitt or Yannick Agnel won’t tell me much. As a result, I selected 24 women and 24 men swimmers for the analysis of each race. I also wanted to do this analysis as a snapshot of a particular time, instead of comparing swims across many years. For that purpose I chose the 2012 Olympic finalists and semi-finalists, and then supplemented with the fastest results from the US Olympic Trial finalists and semi-finalists as needed. Lastly, there were a few situations where swimmers swam slower in the finals than the semi-finals, or slower in the semis than the heats. I used the faster times for those swimmers in the analysis. 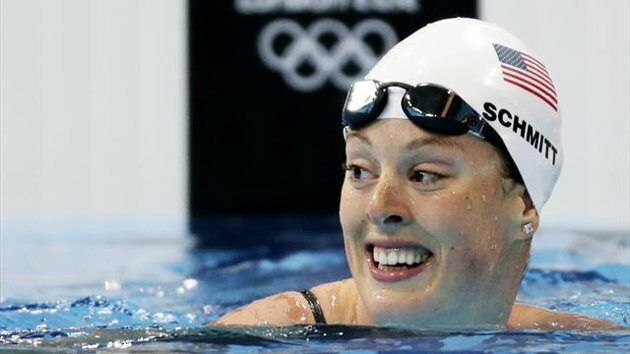 There is a good chance that the slower swims in the finals or semi-finals involved “going for it”, and therefore swimming in an uncharacteristic way for them. 2) How important is the first 50? 3) How important the 50 PB is to total time? 5) How important the 100 PB is to total time? As mentioned above, merely comparing the split times will just show that fast swimmers have fast splits. This is illustrated in this first graph of the splits of all 24 swimmers. You can clearly see how much faster Allison Schmitt’s splits were, but this information isn’t really transferrable to slower swimmers. So the first task was to take each 50 split and subtract that swimmer’s 50 PB, creating what I am calling Offset 50 times . We get a marginally less chaotic graph, but the information is more useful for slower swimmers, as each line represents how much above their PB they swam. From the table we can see that on average, these 24 swimmers did the first 50 in 1.71 seconds above their PB (Offset 50 = 1.7), with a range of from 0.7 to 2.8. Subsequent Offset 50s were 3.60, 4.14 and 4.05 seconds above. This is potentially useful data points for other swimmers. My next step was to split the 24 swimmers into three groups of 8 based on their 200 time, and then average the Offset 50s for each group. The idea is to see if there is anything different in the way the very fastest swim it compared to others. Here’s where it gets interesting. There are a couple of patterns here. The first is that on average, the first two Offset 50s are the same for each group, with a 1st 50 at 1.66-1.82 seconds above PB, and the 2nd 50 3.60 seconds above PB. And then the three groups diverge with the top group swimming with higher Offsets, and the bottom group swimming with lower Offsets. In fact, the bottom group actually got faster in the last 50. This seems counter-intuitive, until you remember that we are measuring the Offset 50s (50 Split minus their 50 PB). So while the first two 50s are swum the same, the swimmers with faster PBs will be ahead, and swimmers with slower PBs will be behind. The fascinating part to me is that the Top group (on average) didn’t get faster in that last 50. Is it possible they are using their energy more efficiently? How Important is the First 50 for Women? We’ve all seen it many times, the best swimmers are almost always leading the race very early on. So in order to test this, I ranked the 24 swimmers by their 1st 50 split, and then put them into 3 groups of 8. Here are the results. We can see here that, the group of swimmers with the fastest 1st 50 splits also had the fastest 200 time average by quite a bit (1:56.64 vs 1:57.79 and 1:58.86). In fact, the 200 Time average of this group is very close to the 200 Time average of the Top 200 Time group (1:56.64 vs 1:56.28), and 6 of the Top 1st 50 Split group of 8 are also in the Top 200 Time group of 8. We can clearly see that a fast first 50 is highly correlated with a fast 200 time. This confirms our general feeling from having watched many 200s. But we can also see that the Top 1st 50 Split group also had the highest Offsets, meaning that they were able to achieve these fast 1st 50s without swimming close to their 50 PB. It would seem that a fast 50 PB is an advantage. Likewise, the swimmers with the slowest 1st 50s had to swim closest to their 50 PBs. How Important is the 50 PB for the Women? So let’s investigate the importance of the 50 PB is to the 200 Freestyle. I ranked the swimmers again, this time in terms of their 50 PB, and then created our 3 groups of 8. Here’s what we get. This is interesting. Notice how similar this graph is to the graph above ranking the swimmers by their 1st 50 split. It would appear that a fast first 50 and a fast 50 PB are almost exactly the same thing. The table data also shows this, with the Top 50 PB group averaging their 200s in 1:56.80 versus the Top 1st 50 group averaging 1:56.64. The two groups are almost identical. The graph shows something else that is potentially very useful. Based on the table, we can see that if you have a relatively fast 50 PB, you can swim your 1st 50 at a slightly higher offset than if you had a relatively slow 50 PB. In other words, sprinters shouldn’t get as close to their PB as non-sprinters. And non-sprinters will need to take it out pretty fast. A very fast 50 PB seems to be an important and almost necessary tool for the 200 freestyle for women. I followed the same procedure with the 100 split analysis using 100 PBs. The 24 swimmers were split into 3 groups of 8 based on their 200 times, and we analyzed the results based on their Offset 100 times (100 split minus the 100 PB). Notice that I’ve added a middle 100, which is just the 2nd and 3rd 50s combined. We can see that there really isn’t a huge difference in average Offsets for the 3 groups. There is a very interesting aspect to this data though. The Offset 100 averages for each group got slower as the race went on. But we know from the 50s analysis that the Middle and Bottom groups got faster on the last 50. The only way the last 50 can be faster but the last 100 slower (on average) is if the 3rd 50 was done much slower. How Important is the 100 PB for the Women? After ranking the swimmers by their 100 PB, and then forming our 3 groups of 8, we end up with the following. Realistically, we expect the 100 PB to be a good indicator of a 200 swim, as it’s just half the distance of the actual race. So it’s not surprising that the Top 100 PB group had the fastest average 200 times (1:56.56), with the Middle 100 PB group next (1:57.93), and then the Bottom 100 PB group (1:58.36). We also see that the Top 100 PB group had the highest Offset 100s, meaning that having that top end speed is important as it allows them to swim fast without getting too close to their PB. However, the Bottom 100 PB group had the lowest Offset 100s, meaning they had to swim much closer to their 100 PBs than the other groups. As with the 50 splits analysis, the table provides a possible set of strategies depending on your 100 PB time (compared to your peers). The bottom line is that the slower your 100 PB, the closer to your PB you’ll have to get. The same analytical process was followed with the men. Below is the graph of our 24 swimmers divided into 3 groups of 8 organized by 200 times. We can immediately see that this is almost exactly the opposite of what we saw with the women. The men’s Top 200 Time group have the lowest Offset 50s, while the women’s Top 200 Time group have the highest Offset 50s. We can also see that the Top 200 Time men are slightly more aggressive than the Top 200 Time women, with 1st 50 Offsets of 1.74 seconds versus 1.82. The second thing we can notice is that all 3 groups show a 4th 50 split average faster than the 3rd 50 average. It is quite obvious that the men swim the 200 Freestyle quite a bit differently than the women. How Important is the First 50 for Men? We found with the women that the 1st 50 splits were strongly correlated with the 200 time. Here’s the analysis with the men, with the 3 groups now ranked in terms of their 1st 50 split. Again, we see a complete different picture with the men. Here we see the men with the fastest 1st 50 also swimming the closest to their 50 PB. This is very aggressive swimming by the fastest men. There are 5 men who are part of both the Top 1st 50 Split group and the Top 200 Times group. We can also see from the table that the Top 1st 50 group is strongly correlated with the Top 200 Time group when you compare the 200 Time averages of both: 1:46.03 vs 1:45.51. Notice that the Bottom 1st 50 Split group end up swimming much faster on their last length, no doubt necessary as they are significantly behind the other 2 groups at this point. So a fast 1st 50 is important for the men as well, but they achieve their speed by swimming closer to their 50 PBs than the women. How Important is the 50 PB for the Men? Here we rank to 24 swimmers on the basis of their 50 PB times. First, the directly useful information can be seen in the table. Depending on how fast your 50 PB is relative to your peers, you have a guide on how to pace your 200. Next, note the identical average 200 times for the Top and Middle 50 PB groups. This is a clear indication that the 50 PB is of far less importance for the men than the women. To support this, note that the 200 Time average of the Top 50 PB group (1:46.43) is significantly higher than the Top 200 Time group average (1:45.51). This is also supported when I look at the data and see that there are only 2 men who are part of both the Top 200 Time group and the Top 50 PB group. In fact there are 5 men who are part of the Middle 50 PB group and the Top 200 Time group. Evidently, the 50 PB is of far less importance to the men’s 200 freestyle. Next up is the analysis of the 100 splits (1st, middle and last), with the 24 swimmers split up into groups on the basis of their 200 time. As with the 50 analysis, the Top 200 Time group took our their 1st 100 closest to their 100 PB, while the Bottom group were the farthest away from their PB. This would imply far greater aggression on the part of the fastest men. It appears that then Top men pay for this in the last 100 as they get slower, while the Middle 200 Time group is able to come back faster. Strangely, the Bottom 200 Times group swims all of the splits here with the largest Offsets. How important is the 100 PB for the Men? The 50 PB for men turned out not to be overly important. Here’s the same analysis with the men ranked by their 100 PBs. The table provides us with possible race strategies based on the relative strength of your 100 PB compared to your peers. However, the interesting information is in the graph. Not surprisingly, the Bottom 100 PB group were required to swim much closer to their PB, while the Top group could swim with much higher Offsets. The last Offset 100 converged considerably, however. We can see from the table that the Top 100 PB group has a better correlation with their 200 time than was the case with the 50 PB analysis. So the 100 PB is a good indicator of 200 success. This analysis breaks down the 200 freestyle for both elite men and elite women in various ways. One potentially useful aspect is the inclusion of their 50 and 100 splits relative to their 50 and 100 PBs, and then further broken down by those with relatively fast, average or slow PBs compared to their peers. The data shows there is a remarkably strong correlation of a fast 1st 50 with 200 success for both men and women. However, the data also shows that the elite women generally achieve this fast 1st 50 with a higher Offset 50 than their competition, while men do it with a lower Offset than their competition, implying the fastest women swim with more control and the fastest men swim with more aggression. There is also a strong correlation of a fast 50 PB with a fast 200 for women, but much less so for men. Lastly, on average, the fastest women swim a more controlled race overall, gradually getting slower for each 50. The fastest men however, tend to finish with a last 50 faster than the 3rd 50. This is really interesting and cool to see all the data laid out like that. Btw what was the SD for these figures? Is range just maximum differences?